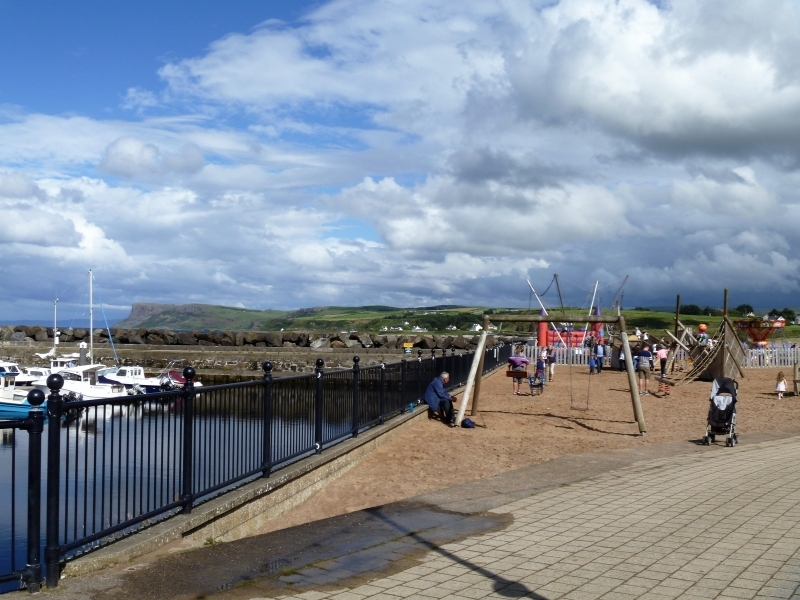 Ballycastle is a traditional seaside town. An excellent base to explore well known local atractions such as the Giant's Causeway, Glens of Antrim and Rathlin. The beach is very popular with locals and tourists, and offers a 74 berth marina. The tide at Ballycastle Beach is currently rising. High tide will be at approximately 12:34 AM tomorrow, and the next low tide will be at approximately 8:15 AM tomorrow. around 9 miles southeast as the seagull flies, around 11 miles by road. around 11 miles southeast as the seagull flies, around 16 miles by road. around 12 miles west as the seagull flies, around 14 miles by road. Visitor information for Ballycastle Beach, Antrim, Northern Ireland. Weather, tides, visitor comments, beach facilities, photos, nearest postcode, beach information and nearby accommodation.